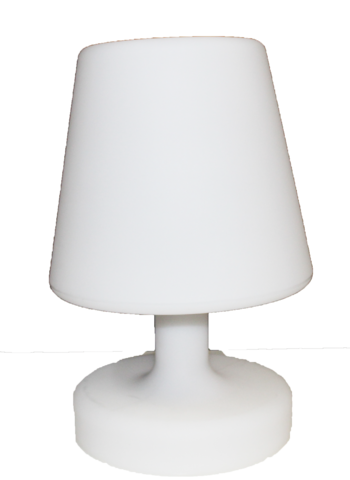 LED Changing Color Table Lamp is wireless and last up to 8 hours on a full charge. Great for table center pieces or to use as decorations on side tables with our other lounge furniture sofa sets. 10"x10"x16". Set up not included, but available for an extra fee. We highly recommend adding the damage waiver for this rental.